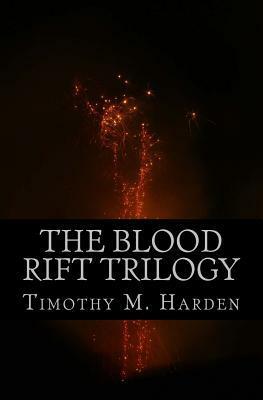 The Blood Rift Trilogy consists of three heroic journeys detailing the trials and tribulations of good versus evil; including Lucifer's banishment from Heaven's graces into the fiery pit of Hell. Lucifer finds a way to foretell the future, along with altering it to meet his overall plan to escape and take revenge upon Earth and Heaven. During this cataclysmic war, several humans are affected in supernatural ways that should've never come to pass. In an effort to stop Satan from activating the Blood Rift portal, a band of unlikely supernatural heroes shall ban together to stop the greatest evil that mankind has ever known. With the Blood Rift at Satan's disposal, how far will good people go to save the entire world from eternal darkness? I enjoyed reading this book. Some places were a little hard to get through and I thought I wouldn’t finish it, but I’m glad I stuck to it and kept reading. You got your angels, vampires, witches and demons. Many bloody/ gruesome action packed scenes. And some twists that really surprised me. I love the love between Julie and Daniel. The book at times gave you hope with the true love conquers all type theme. A Terrific story with Good vs Evil , True Love knows no obstacles, witches, angels, vampires and demons and bloody/gruesome action packed scenes and some wonderful twists thrown in.